There are very few places left untouched by weeds in South Australia. The State has around 1500 exotic plants that are classified as weeds, and on average about six new exotic plant species become naturalised in SA every year. How do weeds affect South Australians? In urban areas weeds are a nuisance, and can impact on our health and amenities (e.g. allergies, injury). Weeds reduce agricultural yields (by approximately $650 million/year in SA). 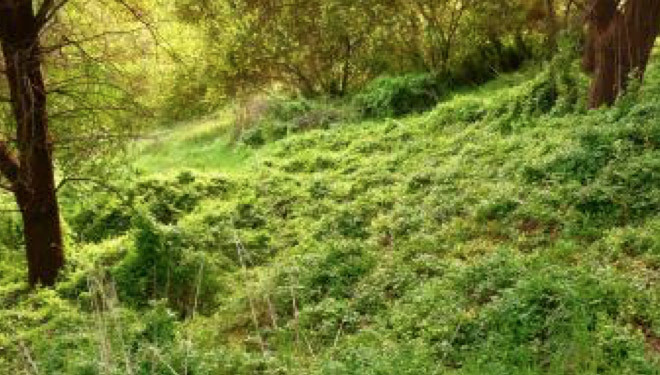 Our native vegetation and environment are degraded by weeds. Bridal creeper (Asparagus asparagoides) has invaded native vegetation in many areas of South Australia. The most effective way to manage weeds is to prevent them from entering, or moving within, our State. If new weeds are found it is important to contain their movement and eradicate them before they have a chance to spread further. Report any suspicious plants to your local NRM Office, or to PIRSA NRM Biosecurity. How can I help reduce weeds? Taking care not to buy known weed species from plant nurseries or markets, including the internet. Being careful when removing weeds from gardens, to dispose of them correctly and make sure they are not dumped in or near bushland. Becoming a member of the Weed Management Society of SA. Volunteer to assist weed management projects, and join weed management groups. We are very keen for community groups to contribute their experience in articles or case studies for Weedwise. © 2019 Weed Management Society of South Australia Inc. All rights reserved.